For the first time in my history of multiple sclerosis I‘ve been shown a monumental glimmer of hope. 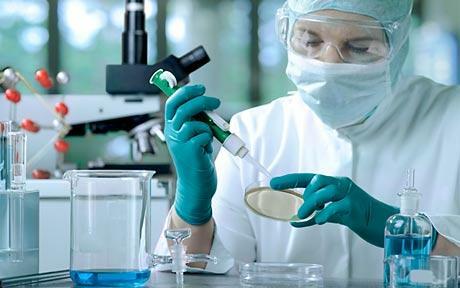 Stem cell treatment may possibly be the closest thing to a cure we’ve ever seen. It implies the ability to not only stop MS in its tracks, but also repair damaged nerves. This speaks loudly to secondary progressive patients like myself. It also applies to author/journalist, Richard Cohen. Cohen has dealt with MS for nearly 40 years. Multiple Sclerosis has left him nearly blind and dependent on a cane to walk and stand. Thanks to Cohen and his wife Meredith Vieira, we’ve been invited along to share their stem cell journey. The plan is to “use viable undifferentiated stem cells collected via his breast bone marrow. 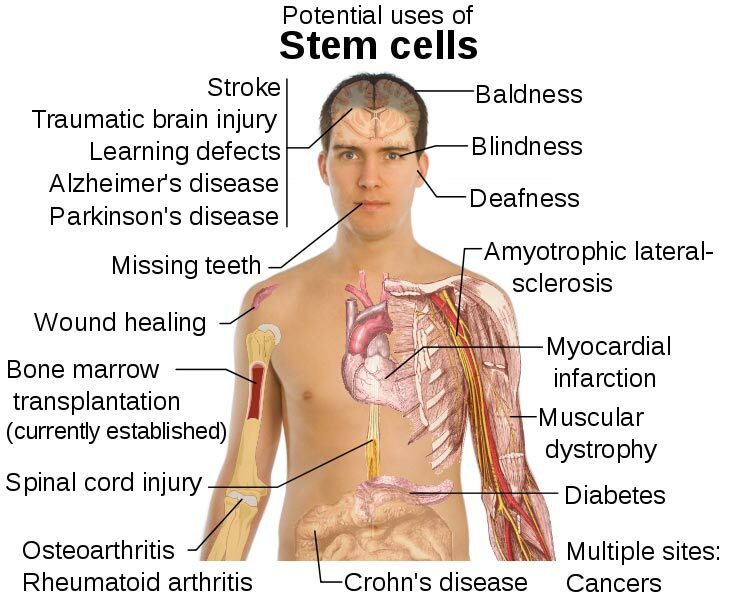 A storehouse for viable stem cells.” Stem cells according to Mr. Cohen are basically blank which allow them to become whatever type of cell the body needs to heal itself. Stem cells were taken from his sternum. Then in five months will be injected back into his spinal cord where they will hopefully fortify his spine thereby removing his dependence on a cane. In my case, relinquishing my need for a wheelchair, among many other problems. Did I explain that well? If not, I’ve included his video below for you to review. The reason I’m so optimistic is because there are seldom treatments that include those of us with secondary progressive multiple sclerosis. In secondary progressive you never return to your baseline health status. For example, with me a doctor I barely knew declared I was secondary progressive the moment he saw my wheelchair. Until recently, this procedure had never been done in the United States. I know this is not a cure, but it’s certainly a step in the right direction. The implications of what could possibly happen are endless. I have to caution myself to remain calm. Mr. Cohen says he’s cautiously optimistic. That’s a good idea. He’s keeping us updated through his blog JOURNEY MAN (http://richardmcohen.com). He’s scheduled to get the first round of cells in the middle February. To be honest, I’m excited!!!! But most importantly it gives one room to…hope. I am a 58 year old open heart surgery nurse, no longer practicing. At 51 I was diagnosed with MS and within 24 months I went from a cane to a walker to a wheelchair. This past year I have broken my ankle and had 4 hospital events. I am so mad at this disease. I wake up every morning and forget for just a second. It’s not like we just discovered MS yesterday. Now that a few famous people have it, it is getting a little more attention. It would be wonderful to finally see some progress. The docs have said this is a death sentence, it’s just a matter of time. Tina, I feel your frustration. Just remember we all are going to die, MS or not! I am forwarding this information to my father who was diagnosed with MS in 2009. Thank you so much for this information! We hope and pray for relief and remission for every person affected by MS! Amen for Hope! Recently (last week) I spoke to my neurologist about this to see if I could poossibly be a candidate in his trial. He said no. Despite progressing, I still am having success on DMD. The safety factor, right now, is not clearly defined. In time, we may know better. Looks good in mice, now need to see if it will succeed in humans. Devastated with his answer but understood. Hope for the future is a coming! Many orals to repair being studied too! Catherine, Hard reality. Sounds like you took it well though. Thank you Nicole! Still breathing! Moving positively forward! Hello there. To begin with, my name is Chris. You can call me Chris, Christopher, Topher or even “hey you.” I definitely have knowledge and experience with MS. I have been afflicted by multiple sclerosis for over ten years now–that’s the experience part. I also am a molecular biology student and medical researcher–that’s the knowledge part. I have been a volunteer in a stem cell lab nearby at the University of California, Irvine and learned a lot from my time there and all the subsequent symposiums and poster sessions. I am also still very much connected with the university and the research taking place. I thought it was important to be as thorough and concise in my introduction since you seem to have taken such care to create a really thoughtful and poignant website here. Bravo, young lady… and keep up the good work. Now, I would like to make a few comments which may help give a better picture about stem cells. I will try not to take up too much space. The type of cells used mostly in regenerative medicine are the pluripotent cells, which have the ability to become many different types of cells–actually all the different types in the body–depending on how they are treated. These types of cells do hold the promise of regenerating damaged parts of the human body, and successful experiments have been conducted already but only with insects and animals. Here is the tricky part; for stem cells to be effective and safe in humans, we have to be able to tell the cells precisely where to migrate to and also when to STOP being “stem cells.” It’s great that they are so good at what they do. Unfortunately they are too good and want to keep up ad infinitum (forever). In this case they have something very much in common with something much more sinister… cancer. Cancer cells basically do the same thing as stem cells but with damaged DNA; they keep regenerating like crazy without stopping. As we grow from the initial fertilized egg, into an embryo and then into a baby and so on, those stem cells receive signals at certain points to stop and become latent. They are at that point finished migrating and building and now they must just be whatever they are: skin, brain, heart, kidney, hair, neuron, etc. Science knows where the cells are and how to harvest them, and it knows for some things how to coax them into becoming certain types of cells. But science still doesn’t know exactly the way to control the enormous power in these little cells. There are plenty of people who thought, for good reasons or nefarious reasons, they could make stem cells do what they promised and most of the people they treated ended up with tumors or lymphomas. I’m not telling you or anyone else not to be hopeful… far from it. But we are still at a very preliminary stage. Unfortunately, scientific discoveries happen incredibly fast and every day but the art of medicine is incredibly slow–it has to be to be effective and safe. I hope like you all that something will be there to really change the situation soon. But the reality is that we are looking at 5 to 10 years down the road at the very least, and that is if neuronal and glial stem cells are viable in an adult. One last bit… even though stem cell research may not be close there are many studies in genetic engineering, apart from using stem cells, which are gaining ground much faster each and every day. I wish all of you a peaceful and healthy 2014. Chris, THANKS for the info. I’m going to call New York soon to find out about the study out there. Hi Nicole. You’re welcome. I wish you well and good fortune in your endeavors. Please feel free to email me any time if you have any questions, concerns or just wish to share news. Let’s hope the trials show positive results. I live 20 minutes from NYC and my doctor is Dr. Sadiq. When he tested my spinal fluid a year ago it showed extremely active MS. He switched me off Copaxone and I get a LP injection of methtraxate every 12 weeks. I’m also on Tecidera 2times a day. If my recent fluid come back good He will put me into the phase II of his stem cell study(I hope! We talked about it last June when he was waiting for FDA approval. I prayed it was approved and to be in the study!) if there is anyway to fix and stop MS he is the guy to find it! His passion and knowledge of MS is the greatest there is, and after 20 yrs of MS I’ve seen them all! He’s also such a kind and truly caring man! WOW!!!!!! I wish you the best and please stay in touch. Thank you! I’ll let you know! How can we contact this doctor, or a list of doctors involved in this study. I’m in Florida, but will go anywhere to get in a study. I hear this Dr. Sadiq in NYC is the place to go. What a post. Thank you for your explanation of the stem cell process! Be well! Catherine,Thanks to you for reading! Thank you, Nicole, for posting about this. I read about it and asked my neurologist about it, if there were any clinical trials for this. He said that I wasn’t willing to try the drugs that had already gone through clinical trials, he wasn’t willing to consider something as untried as stem cell therapy. He’s right, I wouldn’t take Tysabri or Gilenya. But we can dream, can’t we? Roberta, Thanks for honesty. I guess too it depends how hungry you are. As an MS survivor, this is unbelievable news. Finally, an outlook of a cure for us. I can’t even type right now because of my happy, hopeful tears blocking my sight of the keys on the keyboard. Oh my god…. it’s gonna happen. We’re going to cure this f***ing disease. We’re gonna do it in my lifetime. KT, they say it’s not A cure. but it sounds better than anything I ever heard. Hi, I think it’s great that someone in the public eye, a celebrity husband like Mr. Cohan, is pioneering this therapy….we shall see, and we wish him well…..this may help get the word out about stem cells, and lead to clinical trials…..thanks for your great post! Toni, I think it is great too. So how will this help? Stem cells are tosted in the trash everyday because its a furton to bank. Why are stems cells not banked like blood is? People donate blood all the time so is it not possible for someone to do the same for the steam cells after a child is born? Really as an MS fighter I dont find comfort in this. well I plan on being first in line! Tash, I was hoping to use my own bone marrow stem cells. They use your own stem cells. They also do heavy chemo on you while you wait for your stem cells. Funny thing — I just wrote about stem cells yesterday. I really want to check this out. I’ll be following Richard Cohen’s progress. Wouldn’t it be amazing if this works? Muff, if this works it can be life-changing. Richard Cohen’s Blindsided was the second book I read about MS, and it was the first about living with it. His book Strong at the Broken Places solidified my belief in the importance of helping others helping the givers as well, especially those with chronic medical conditions. While Stem Cells may not cure the cause of MS, it sure would be nice to have a treatment for the effects. I too am hopeful. well lived, so am I.
Wow! Ok I am going to think about this and write later. Thank you thank you for passing on. Marie, E., yes, join the club! You have every reason for hope – we all do. I’ll be watching this closely. Thanks for sharing. FUMS, We all have room to hope. I all to often forget this. Hold on to that hope, Nicole. It’s what we must do. Stem cells are so promising, and I’m not surprised they may be able to help secondary progressive. Thank you for explaining this in an easy-to-understand fashion. Cathy, Hope is what gets me through the bad days! Sue, that’s awesome I can’t believe you spoke your doctor about it thank you so very much.